I’m done doing that, now. A lot of discussion has gone on regarding what the value of Wilson’s next contract should be. Some have taken a ridiculous approach; only mentioning Wilson as, among other things, a “Super Bowl-losing QB.” Wilson, to his credit, has remained consistent with his approach to playing the season on his current deal. No offense to Matt Hassellbeck, Dave Krieg, or Pro Football Hall of Famer Warren Moon, but it’s something the Seahawks haven’t been able to boast they have all that often. None of them had a three-year run like Wilson’s, particularly in the playoffs where none can claim back-to-back conference titles or a Super Bowl championship (or his ridiculous playoff numbers). 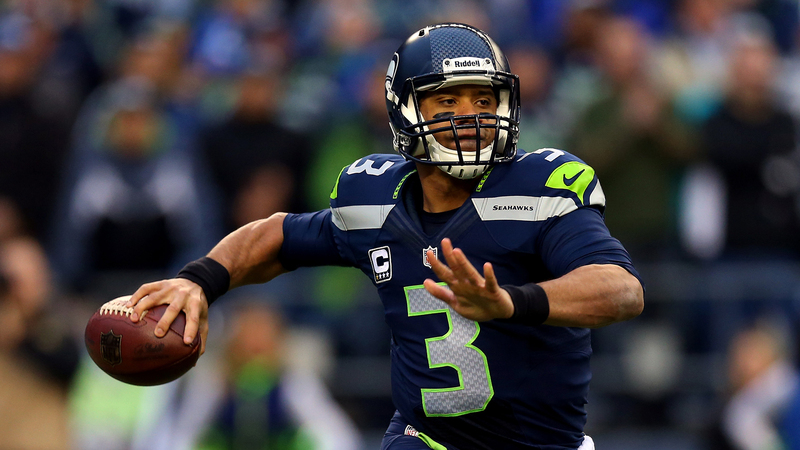 So back to the question: Is Russell Wilson worth $25 million dollars a season? That answer, for the Seahawks, is simple: Yes. Pay him. Stop dragging this out. Stop forgetting that for four years prior to Wilson’s arrival the team was 23-41. Stop pretending that two years before Wilson got there you weren’t 14-18 and set to have, wait for it, Matt Flynn as your starting Quarterback. Remind yourselves that during those two, 7-9 seasons you had Pete Carroll, Earl Thomas, and Marshawn Lynch; but NO Quarterback. Now is not the time to get cute with contract negotiations, John Schneider. Schneider, more than anyone, should remember that Matt Flynn was given $9 million dollars guaranteed on the heels of (literally) a one game performance the year before to be the starting Quarterback the same year they drafted Wilson. Wilson beat that $9 million dollar decision and hasn’t looked back since. What he has watched are extensions for Lynch, Thomas, Richard Sherman, Pete Carroll, AND John Schneider. How easy is this decision for Schneider and the Seahawks team contract negotiator? If you can’t remember look at the team before Wilson got there up to this point. Understand that without stability at the Quarterback position you stand zero chance in the NFL. Comprehend that this team has reached borderline Dynasty conversation because of what he has done under center in stabilizing the offense. Also understand that when Wilson says he has “moved” around before, it isn’t just blowing smoke.